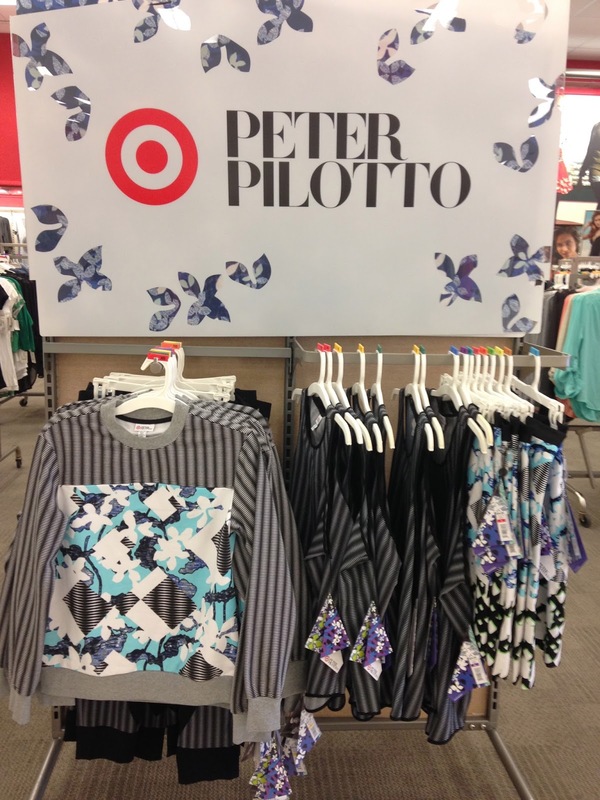 Tracy's Notebook of Style: Peter Pilotto for Target Collection Store Pics + Reviews! My first stop and not a fashionista in site! 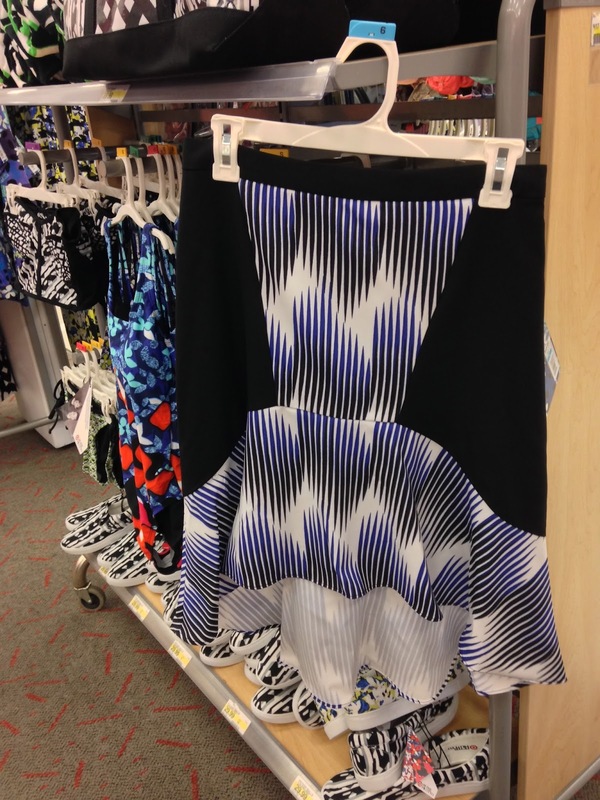 the Target collabs arrive and the material on this one was not my favorite, not soft at all. 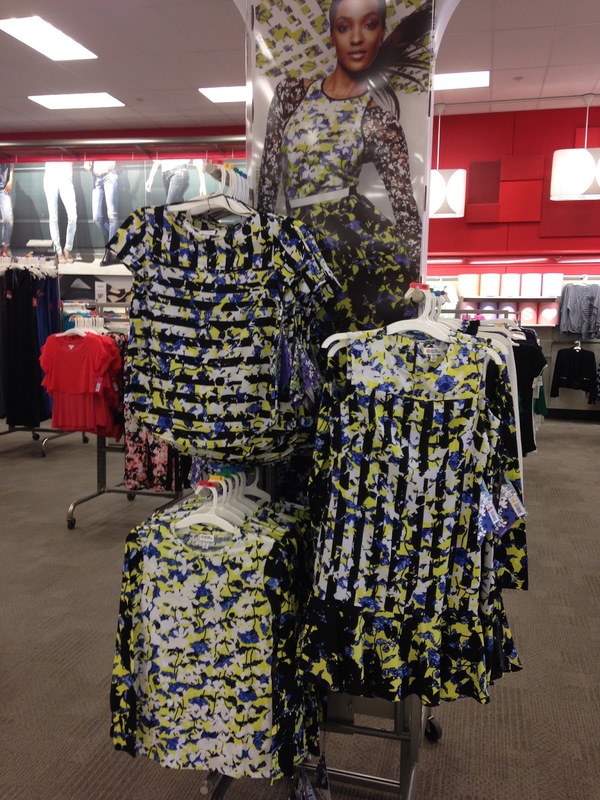 The yellow and blue pop of prints. Tank Top for $24.99 semed to run a bit large. 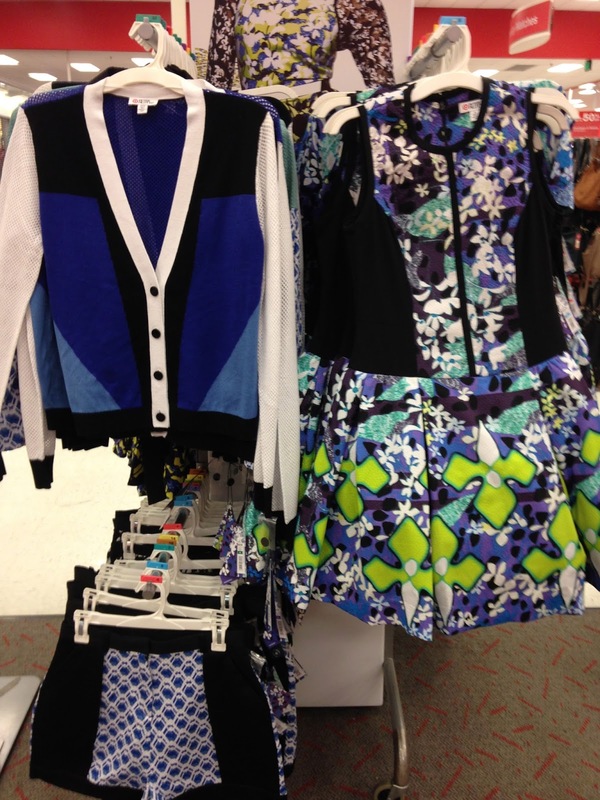 The dress on the left was so pretty and looked true to size. 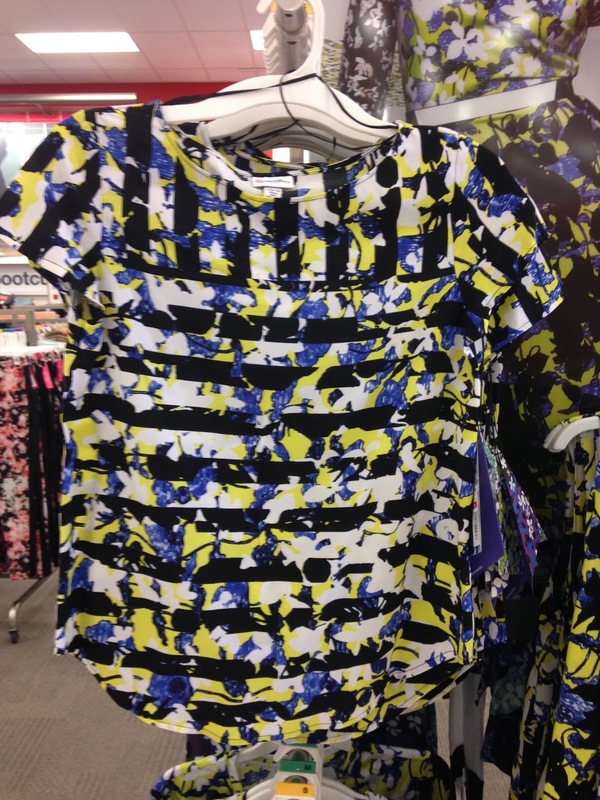 The dress would look cute with some tights or leggings and just worn as a longer shirt. 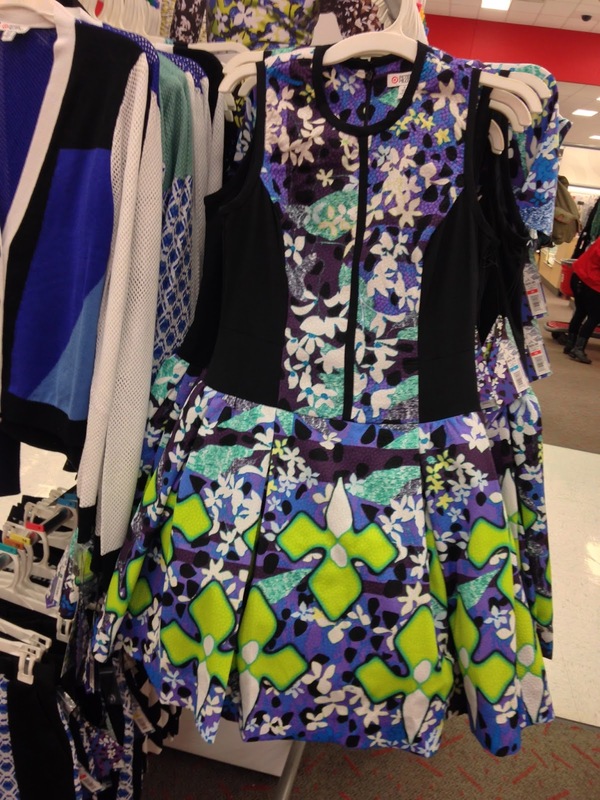 dress for $29.99 (very thin material) and the wrap skirt. 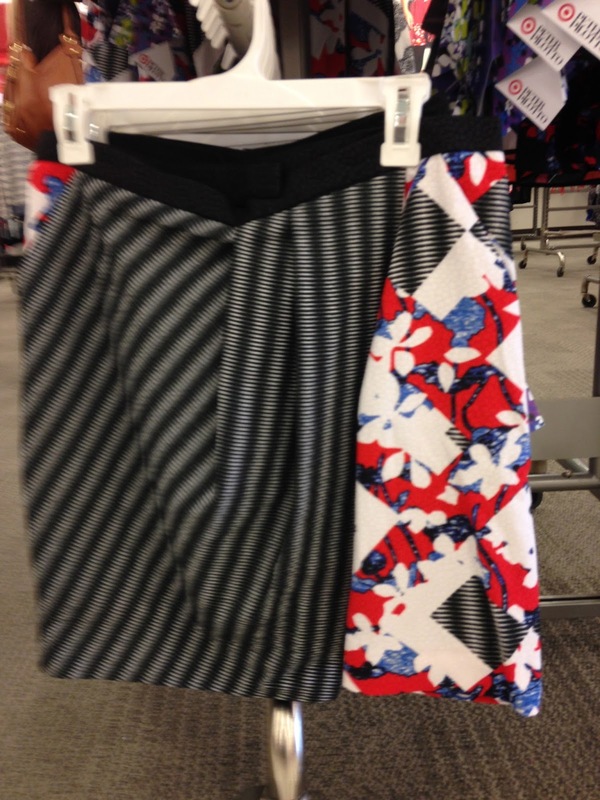 The wrap skirt in red pattern. Yay! I finally found the accessories on my last stop. Little plastic pouch bags were super cute for $22.99 if you wanted something from the collection and the sunnies were sold out at your location. The star of the show - the $16.99 mod sunglasses. 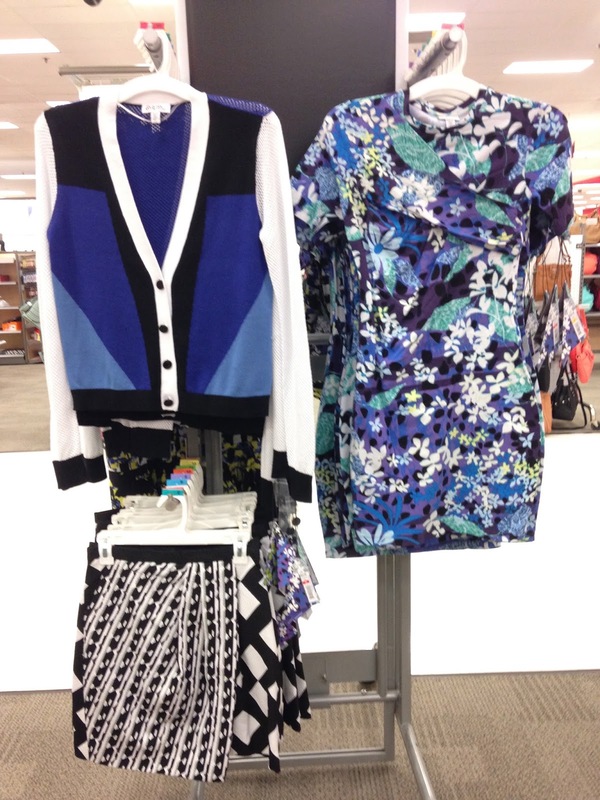 I love a good cardigan and the mesh sleeves give this a unique style. 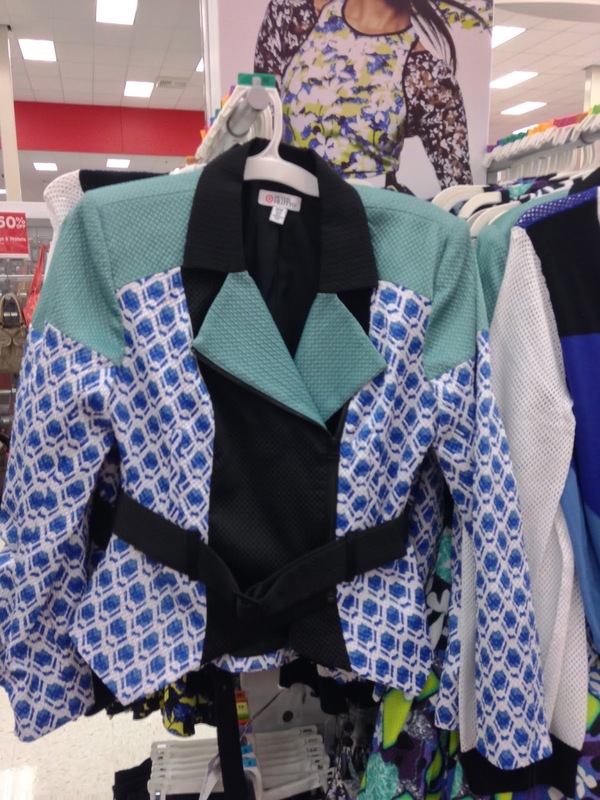 I'll pass on this one for $34.99, but I may take it home with me when I find it on sale. 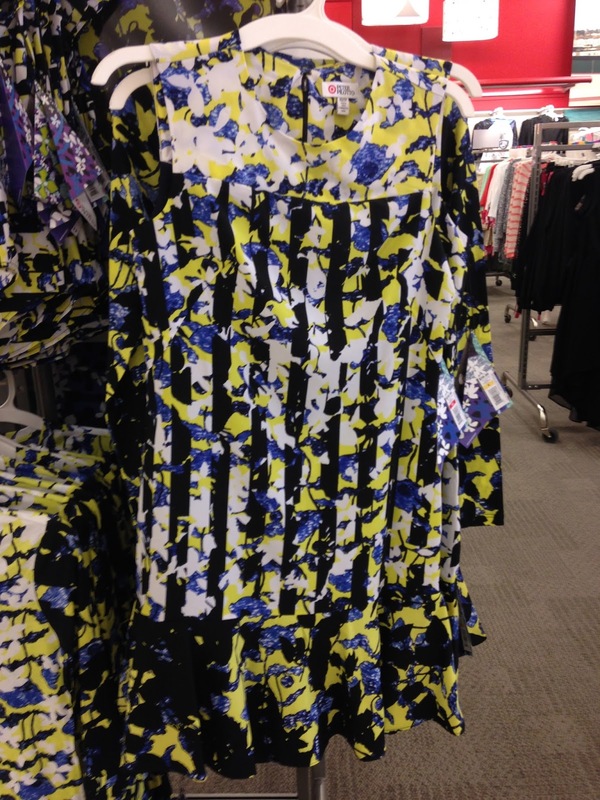 The first of the two similar looking $70 dresses. I like the style of this one better, but it's simply too busy for my taste. 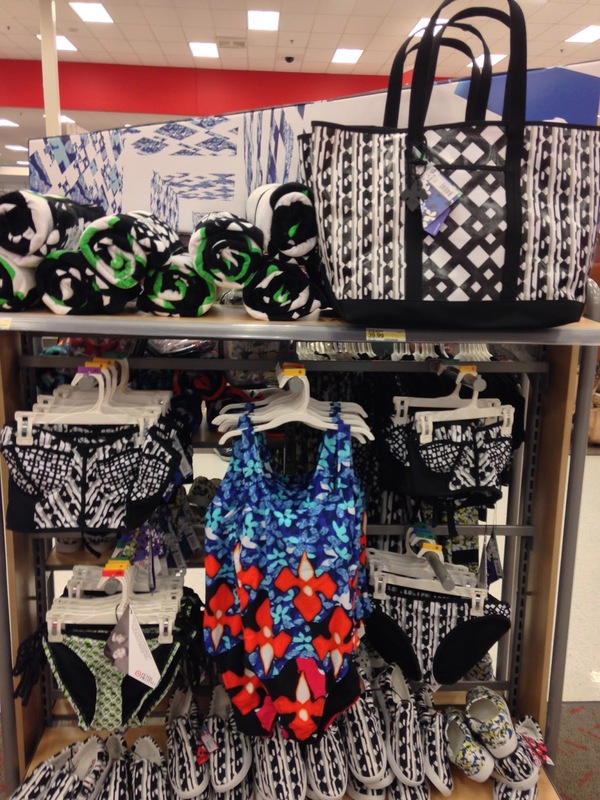 Beach items were cute, they just weren't flying off the shelves. 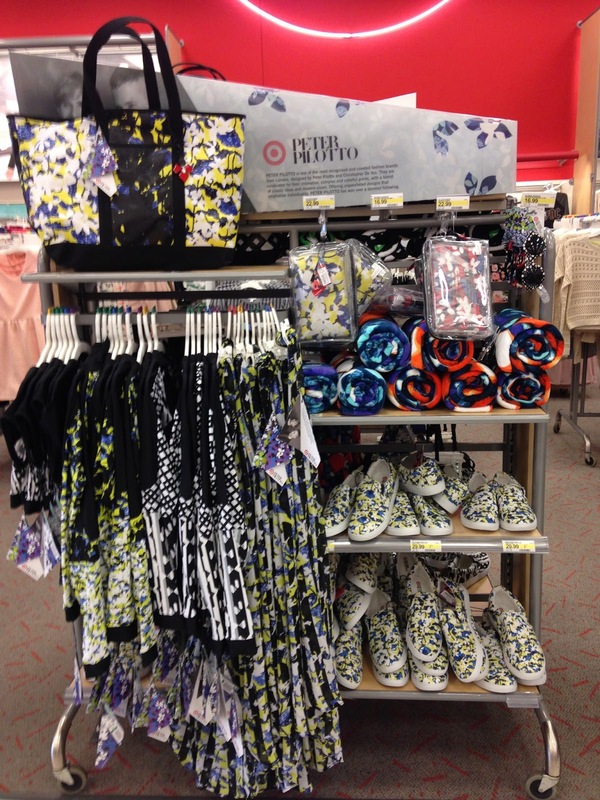 Loved the printed beach towels, but no way would I pay $40 for the larger tote. I can find better quality Mossimo bags across the aisle. girls at my store were grabbing these. Major markdowns expected on this item. The cap sleeve tee on the left was one of the cheapest, err...least expensive clothing items and the fabric was so cheap! The sweatshirt material crop top was not a big seller at any of my 3 locations. cute flip flops in the warmer months or some tights and heels. 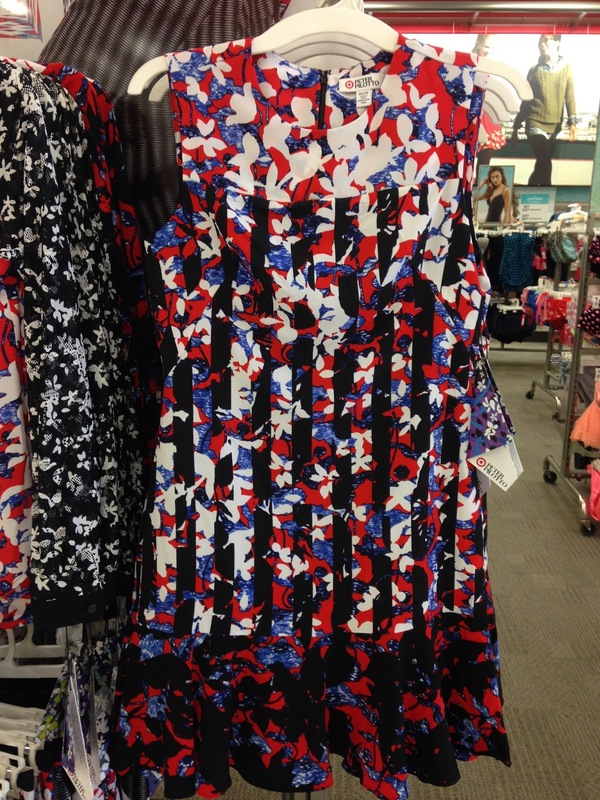 makes it to the sale racks, I'll definitely pick this up. Runs true to size. but I am not that person. Didn't try them on, but they appear very wide on the bottom half. My attempt at trying things on...so very sleepy. The sunnies are just so darn cute and fun! I felt like I was in a "Where's Waldo?" picture with so many prints. Stayed up late to order the sunnies around 12:30am, not too bad. Be sure to check out Franci playing dress up with sizing reviews over at The Fashion Palate! Great review! We would be agreeing on everything if went shopping together! 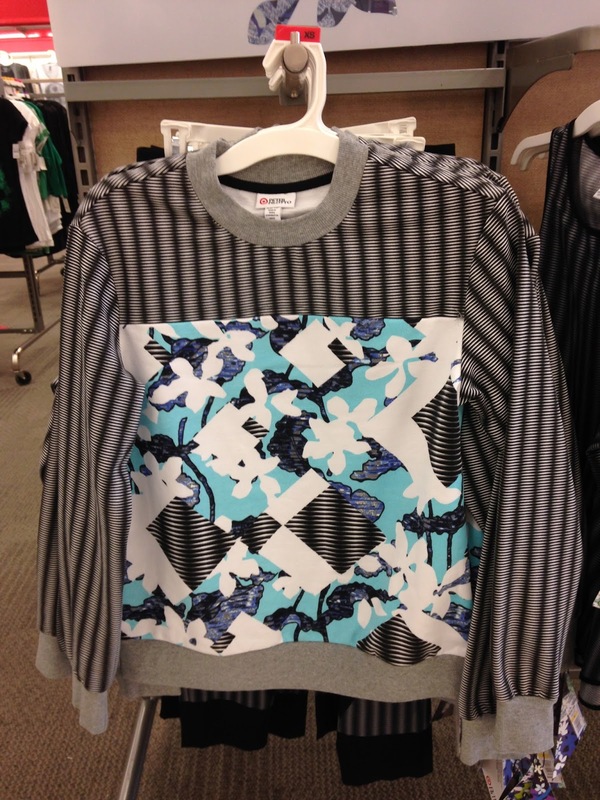 I wanted to try the crop sweater shirt on but I didn't see it at the two Targets I went too. Also, I don't think those shorts flatter anyone! I have yet to see Beyonce in them! I loved your quick display, I was so happy I ended up getting those blk/wht sunnies. They are super unique and cool. You looked too cute. OK, blah blah! Thanks for sharing. Ya, we would just nod our head in total agreement! You are someone that could wear the crop sweatshirt, maybe track one down on clearance ;-) Really happy you were able to get a pair of those adorable sunnies and the cute top and okay...blah, blah, blah and a LOL. WoW Tracy - Thank you so much for providing this very thorough update! I was curious to see what the feedback would be on the line and I guess I'm not so surprised about the poor quality of clothing. I think the only thing that caught my eye were the shoes. The accessories were fun in this collection - not for the print shy! I think the sweatshirt, sneakers, and dresses were the most popular in my area. 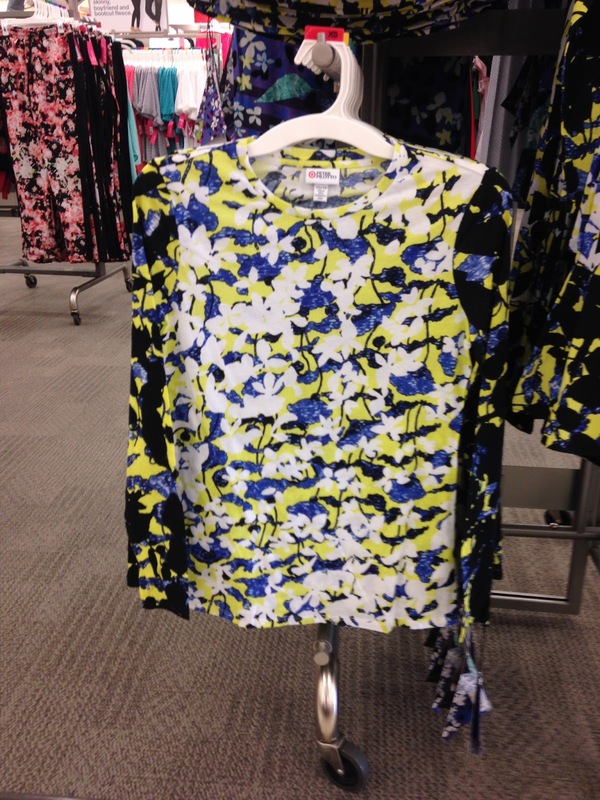 As for the dresses, my store lacked many of them, but I loved the tops I tried on and felt the fit was decent on the items I reviewed on my blog. 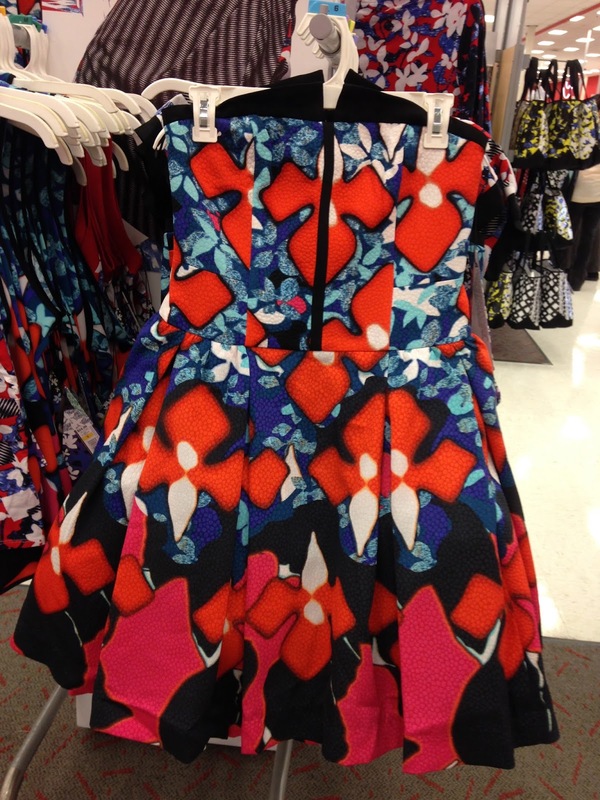 There's still plenty on the racks in my area, as the demand was lower than Phillip Lim. Thank you for sharing your thoughts! I'm with you, the accessories were my favorite too! You looked great in everything Melissa and yes, definitely a much lower demand than Phillip Lim. I was really looking forward to reading your blog today, since I expected that you would have this review on the collection. I wasn't looking forward to this, which is why I didn't go into the store. I just feel like it's a bit "much" and the quality just doesn't look that great. I do love the sunnies on you, but wouldn't go to a store just for those. Your target is organised so well! Mine was in a total mess as usual and no one seemed to care. Not very excited with this collection. Was expecting much more.